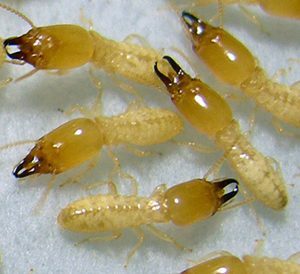 Subterranean Termites are the most destructive termite species. Subterranean termites are just one of the many species of termites found in the United States, including in Southern California. They create colonies in the soil and require moisture to survive. This species of termites eat all types of wood and occasionally other cellulose material such as cardboard or books, which is why a home is appetizing to them. These insects can cause severe damage to structures and should be exterminated immediately to avoid costly repairs. Gopher Patrol provides both eradication and preventative, pre-construction termite treatments for subterranean termite control. Our team of state-licensed professionals has over 20 years of experience at eradicating termites. 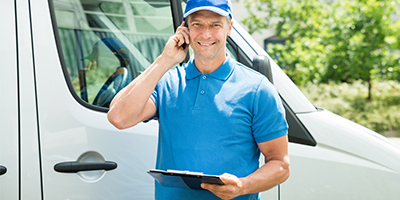 Our pest removal technicians receive continuous education to ensure that they are aware of all the new technological advances in their industry. We also offer quality home repairs which are performed by skilled carpenters and painters to match our termite control service at reasonable prices. Subterranean termites can form large nest or colonies consisting of very different looking individuals (castes). THE REPRODUCTIVE (WINGED) caste of subterranean termites is dark brown to brownish black, with brownish gray wings. Reproductive termites can typically be seen swarming in spring and fall when rain is followed by bright sunshine. THE SOLDIER caste is wingless with white bodies and pale yellow heads that are narrow in shape and have no eyes. This caste’s most distinctive character is it’s mandibles or pincers located in the front of the head. THE WORKERcaste is slightly smaller than the reproductive caste which is also wingless and similar in color to that of the soldier caste. Subterranean termites require moist environments at all times to survive. To satisfy this need, they normally nest underground where they build tunnels to reach the surface and continue their journey through mud tubes which are constructed from dirt, wood particles, and even drywall material until they reach the surface where they search for a desired food source. The most common area to find subterranean termites is in raised foundation structures but they are also aggressive enough to attack through slab cracks and plumbing crevices. Because they require some source of moisture to survive, they are often found in wood that is infected with dry rot or areas that receive extreme moisture. The Western Subterranean Termite is the most destructive termite found in California. These termites help to recycle forested areas in nature because they break down the cellulose into nutrients for their bodies. However, this same action can cause damage to areas where cellulose–based and wood products are used for construction materials. The damage that is caused can and will lead to both cosmetic and structural damage which translates into unwanted repair costs, weakening of the structure, and a higher rate for extreme fire damage. Billions of dollars are spent each year repairing the damage done to buildings by these insects. Therefore, monitoring your property with yearly wood-destroying pest and organism inspections is key in termite prevention and protecting your home or building from dry rot damage which ultimately creates a safe environment for you, your family, and guests while also saving you significant amounts of money on unwanted repairs. Contact Gopher Patrol, Southern California’s Top Rated Local® termite exterminator for termite prevention or any of our rodent and control services. Call us at 1-800-279-4595 or reach out to us online by filling out our online form. Please fill out this form and a representative will contact you shortly!. Subterannean termites can form large nest or colonies consisting of very different looking individuals (castes). THE REPRODUCTIVE (WINGED) caste of subterranean termites is dark brown to brownish black, with brownish gray wings. Typically in spring and fall when rain is followed by bright sunshine reproductive termites can be seen swarming. THE SOLDIER caste is wingless with white bodies and pale yellow heads that are narrow in shape and are without eyes. This caste’s most distinctive character is it’s mandibles or pinchers that are located in the front of the head. THE WORKER caste is slightly smaller than the reproductive caste also wingless and is similar in color to that of the soldier. Subterranean Termites require moist environments at all times to survive. 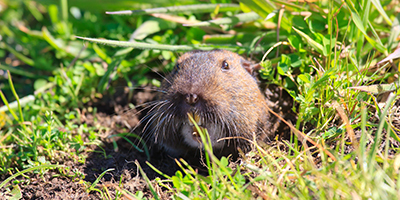 To satisfy this need, they normally nest underground where they build tunnels to reach the surface and continue their journey through mud tubes which are constructed from dirt, wood particles and even drywall material until they reach the surface where they search for a desired food source. The most common area to find subterranean termites is in raised foundation structures but they are also aggressive enough to attack through slab cracks and plumbing crevices. Because they require some source of moisture to survive they are often found in wood that is infected with dryrot or areas that suffer extreme moisture conditions. The Western Subterranean Termite is the most destructive termite found in California. These termites help to recycle forested areas in nature because they break down the cellulose into nutrients for their bodies. However, this same action can cause damage to areas where cellulose based and wood products are used for construction materials. The damage that is caused can and will lead to both cosmetic and structural damage which translates into unwanted repair cost, weakening of the structure and higher rate for extreme fire damage. Billions of dollars are spent each year repairing the damage done to buildings by these insects. Monitoring your property with yearly Wood Destroying Pest and Organism inspections is key in the prevention of termite and dryrot damage to your building that ultimately translates into a safe environment for your family, also saving you significant amounts of money on unwanted repairs. © 2017 Gopher Patrol - All rights reserved. Gopher Patrol is officially licensed by the California Dept. of Pesticide Regulation .P.R. # 5199. All "Agricultural" work is performed under license, #32514. Under same ownership since 1996.